Continue your journey 470 feet in the air to the GeO-Deck. This indoor/outdoor observation deck lets you explore the city unlike anywhere else. Step up to the interactive touch screen Halo and with just one swipe, you’ll be able to discover local hidden gems, historic landmarks, museums, parks, and more. 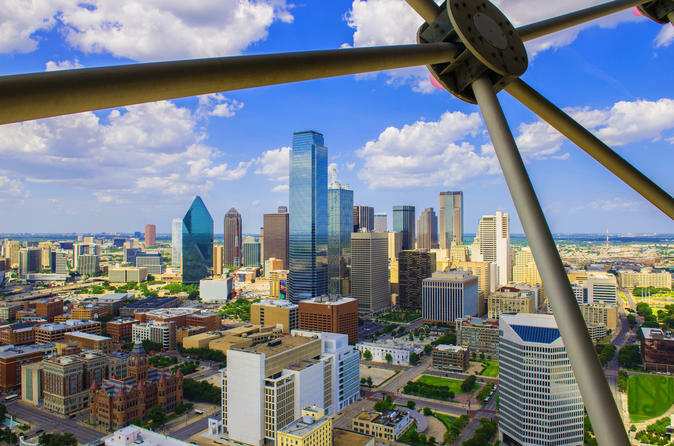 Don't forget to take a token of Reunion Tower home for only 51 cents at Reunion Tower’s penny press machine. Ready for a different view? Head outside for a lap around the exterior deck and feel the wind in your hair as you stand 470 feet in the air! Take a look through one of the high-definition zoom cameras and you’ll be able to see for miles in any direction.